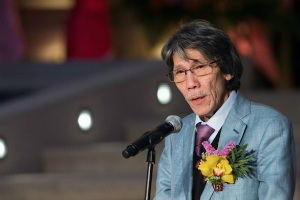 Macau-based CEO and Co-Chairman of Macau Legend Development Limited, David Kam Fai Chow thinks the local gambling market could take two or three more gaming concessionaires. With the current licenses expiring in 2020 and 2022, the government should consider exploring new opportunities, according to Chow. 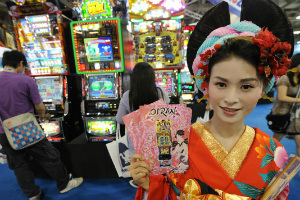 The Chief Executive Officer of the Hong Kong-listed gambling and entertainment holding company said that local people should be offered more options to take part in the gaming industry, the GGRAsia reported Monday. During the annual meeting of the Chinese People’s Political Consultative Conference in Beijing last Thursday, David Kam Fai Chow talked with reporters, urging authorities to consider issuing more gambling licenses. There are currently six gambling operators in Macau, an autonomous Chinese territory where casino gaming is legal and regulated. The local market consists of nearly 40 casinos and gambling tourism is considered the largest source of revenue, accounting for approximately 50 per cent of the local economy. Many industry experts and investors are expecting further growth, even though the latest statistics from Macau’s Gaming Inspection and Coordination Bureau show that gambling revenue rose only 5.7 per cent in February compared to the same period last year. Chow, who is CEO and Co-Chairman of Macau Legend Development Ltd., also said that if the government issues more licenses, his company will apply for one of them. The market, he says, should be able to absorb up to three more gaming concessionaires. According to him, local businesses should also manage large-scale casino resorts while currently, the largest casino operators in Macau are foreign companies. If the market expands, all this growth will now go to them, he adds. Initially, three gaming concessionaires, namely SJM Holdings Ltd., Galaxy and Wynn Resorts, were granted licenses to operate games of chance in casinos, but later three sub-concessions were also granted permission for such operations. The additional companies with casinos in Macau are MGM (in partnership with Pansy Ho), Las Vegas Sands and Melco Resorts. There are a large number of satellite casinos owned by different firms under the concessions of licensees. SJM, for instance, provides gaming rights to 16 satellite casinos, operated by third-party companies, GGRAsia reports, citing data from Macau’s Gaming Inspection and Coordination Bureau. Among these casinos are Casino Diamond, Casino Taipa, Golden Dragon, Casino Ponte 16, etc. According to the executive director and deputy chairman of Success Universe Group Ltd. Hoffman Ma Ho Man, the government should shift to a different system, where licenses are granted to venues, not operators and that the concession system should be abolished. Both investors and gambling operators are expecting the upcoming gaming concessions’ renewal tender as the first concessions are about to expire in 2020. It remains unclear whether the government will take steps towards expanding the market with new concessions and whether it will change the current requirements for applicants in the international bidding process.